It's a serious condition caused by excessive exposure to the hot sun which is characterized by dizziness, dehydration and a high body temperature but without perspiring. Constant exposure to excessive heat may also burn the topmost layer of skin which will eventually peel off. Try the following remedies if you ever experience sunstroke. 1. Raw Mango: Raw mango is considered to be one of the most common cooling foods for sunstroke. Panha, page 131, a drink made with raw mango is most refreshing on a sunny afternoon. 2. Water rich fruits: Consume plenty of water rich fruits like watermelon, pineapple, orange etc. These help to relieve excessive thirst and remove summer heat. 3. Fluids: Drink plenty of fluids (water and fruit juices) to maintain your fluid and salt balance. Buttermilk made with fresh curds is considered to be one of the best fluids as it helps cool your system and relieves the heat from your body. Try the recipe of Phudina Chaas. 4. Onion: Onions provide a cooling effect and it's good to have them raw in the form of salads or chutney for lunch everyday. 1. If you happen to go out during sunny afternoons, use sunscreens and wear a hat. Also wear light weight natural fabrics to stay cool and protect your skin. 2. Apply a cool wash cloth to the upper spine and back to decrease body temperature. 3. Have plenty of fluids in the form of natural juices and avoid alcoholic, carbonated and caffienated drinks. 4. Take cool baths or showers at least 2 to 3 times a day. 5. Moisturize the skin to decrease body heat and also to ease sun-burnt skin. 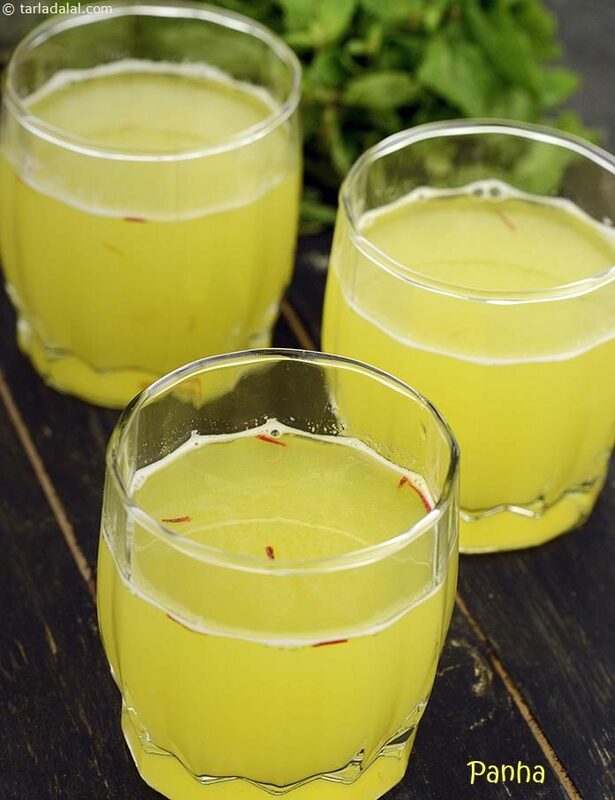 Sauf ka Sherbet is a super coolant and will instantly recharge you on a hot summer's day. Khus khus the thirst quencher adds a nutty aroma, whereas the elaichi powder lends a mild warm pungent taste and a pleasant aroma. Mango Khus Sherbat, in this sherbat their is unique combination of khus with mango. This remedy is exclusively for this summer where North Indian states are under the blazing sun.